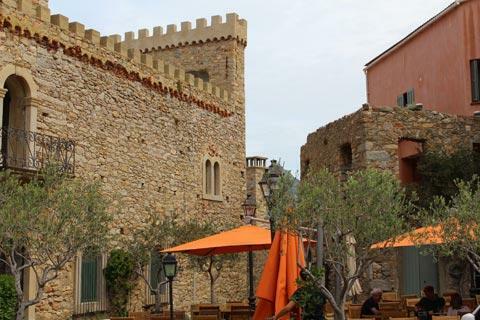 Algajola is a small fortified town with a long sandy beach between Calvi and l'Ile-Rousse in north-west Corsica. 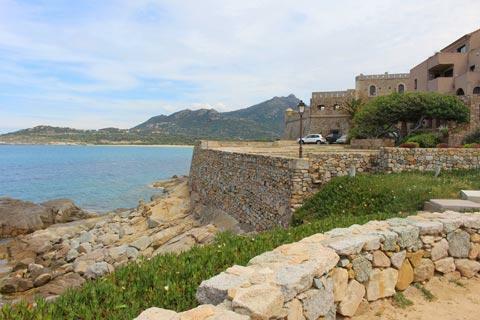 Algajola today is a small town when compared with its neighbours Calvi and l'Ile-Rousse but it is still pleasant to take a stroll around the seafront where parts of the fort can still be seen, as well as more recent additions in the same style as the fort. 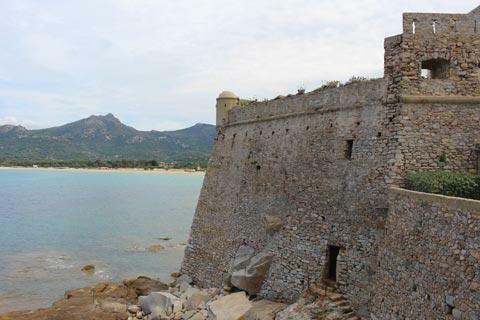 The fort was built at the beginning of the 16th century for the Governor of the Balagne as part of the Genoese defences of Corsica, on the site of an ancient fortress. 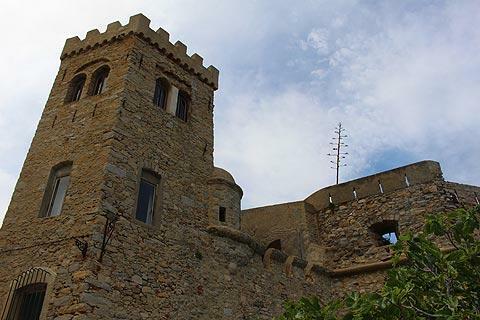 Apart from its fort, Algajola gives little clue to its historic importance but during the Middle Ages it was one of the most important Corsican towns. 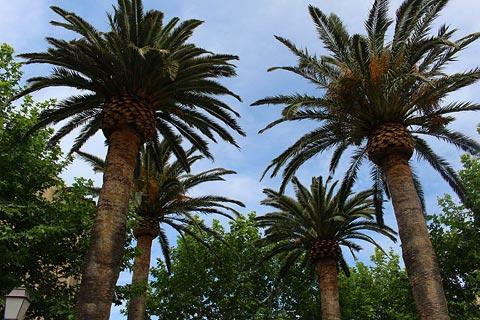 This period of prosperity ended when the town was besieged by pirates in the 17th century. It was later damaged again when Algajola was bombarded by Nelson, but by this time it had already lost much of its importance. Note that the beach here is called Aregno Plage not Algajola Plage, although the centre of Aregno village is a few kilometres from here. The beach is to the north of the town, and is one of the most attractive beaches in the region: it is more than one kilometre long and of light sand and has various restaurants and beach cafes along its length as well as a windsurfing centre. 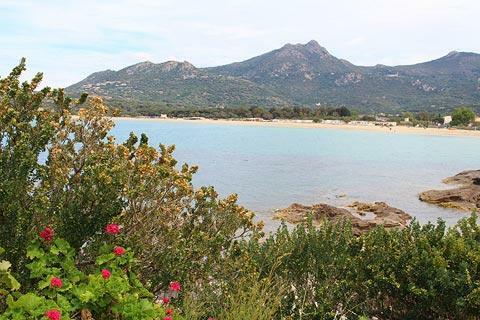 It is also one of the most accessible beaches, with parking available in several places along the beach if you follw the road between the centre of Algajola and l'Ile-Rousse. Despite this easy access you will still find that the part of the beach closest to Algajola town is much busier than the more northern parts. 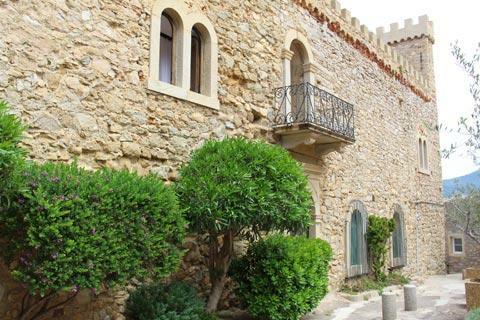 A few kilometres south of Algajola you can visit the village of Lumio. 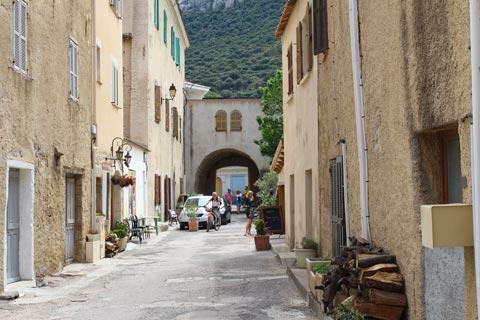 The village is small and based around a church and is interesting because there is a path that leads to Occi, a village higher up the hill that was abandoned when the water ran out 100 years ago and is now in ruins. 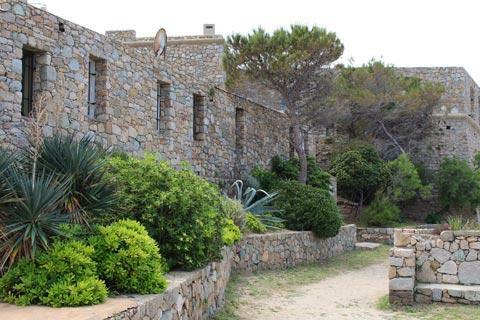 As well as the abandoned village, you also have excellent views along the coast from Occi. 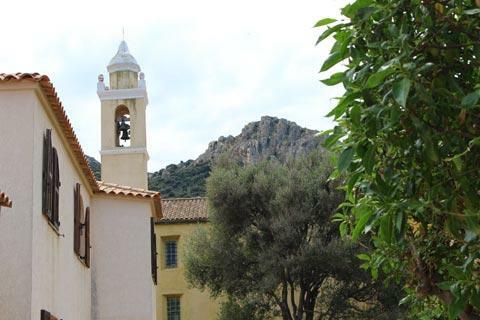 The principal resorts nearby of Calvi and l'Ile-Rousse are within easy reach, and Algajola is also well placed to explore the Balagne villages hidden in the hills behind the resort, such as Pigna and Sant'Antonino.